Robin’s Nest Design Team – Teacher Photo Album | Who Are You Calling Crafty? I wanted to create something special for my daughter’s teacher for being Teacher of the Year. I asked all the parent’s to send me a drawing or a card done by their child. Surprisingly almost all of the children are represented in the book. This is a prefect gift for Teacher Appreciation Day for your child’s teacher. 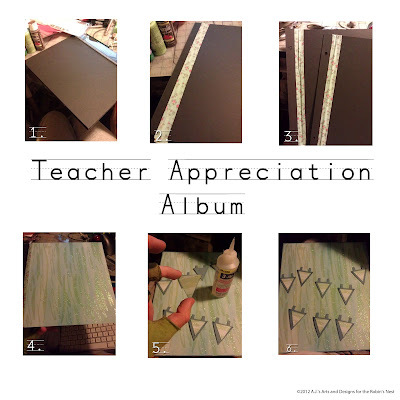 Teacher Appreciation day is right around the corner, this project is a fun way to say Thank You and to get the whole class involved with saying Thank You too. I sent a very simple email to all the parents in the class stating I was making an album for the teacher and I would love each student to draw a picture to put in the album. Much to my surprise the response was overwhelming almost every parent sent in a picture created by their child. My job was to put them all together in an album I wanted something simple but practical so I decided to create my own album to showcase the children’s work. 1. Cut a 1″ strip off the Mat Board. 2. Glue Linen Ribbon or Book Binding Tape to wrap completely around the length of the book (both front and back). Glue in place leaving a small gap so the “spine” can bend. 3. Punch holes on the mat board (the thin strip) about 1 1/2″ from the top and the bottom. 4. Glue paper to the front side of the mat board (piece one) and to the backside of the mat board for the second piece. If desired you can also glue paper to the inside as well (I did not do this). 5. Trace and cut out flags for the banner. Ink the edges with ink pad before gluing the pieces down. 6. Arrange and glue down the flags. 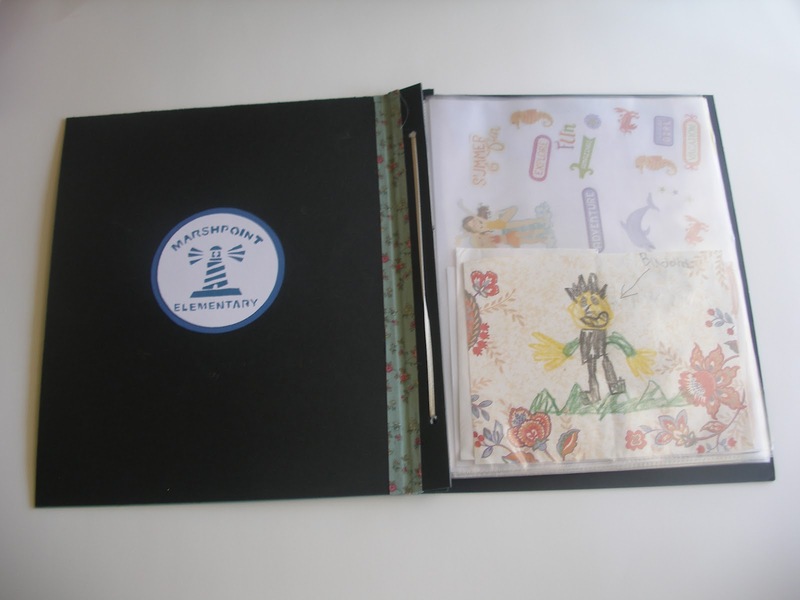 Add Title and other embellishments to the book. Place plastic sheets and tie together with ribbon. How the album was bound.